Chocolate Cupcakes. 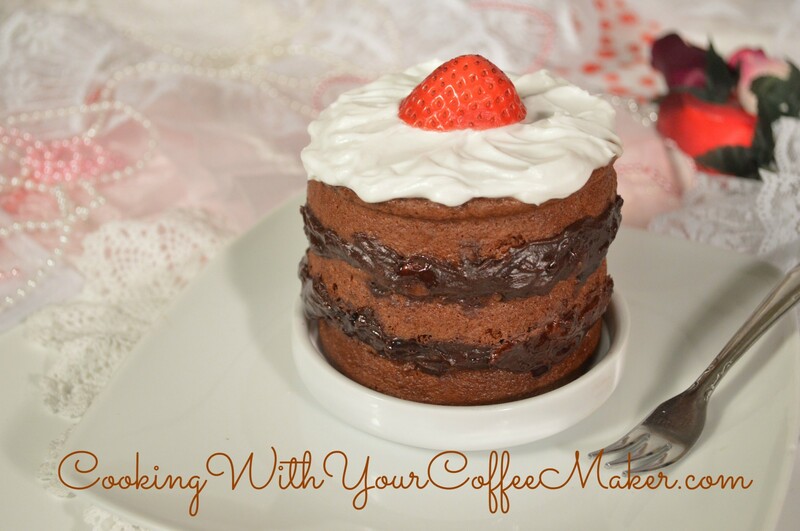 Making special treats with your coffee maker is fun and easy and even better if it’s chocolate. 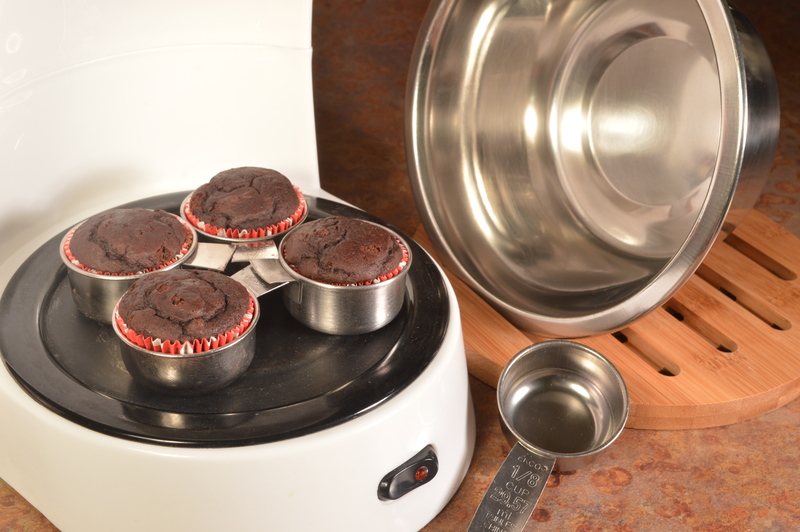 You can bake 4 mini cupcakes at a time with your coffee cake maker. I only make mini cupcakes, as larger ones won’t cook all the way thru. Use any recipe or your favorite Chocolate Cake Mix. If you don’t want chocolate use any flavor you like. I only use water when using a mix to make cupcakes with my coffee maker, it makes a lighter cupcake than using eggs and oil. I’m not sure why, it might have to do with baking at such a low temperature. (Anyway it’s all about experimenting, so try what ever you want.) Besides it makes it real easy to just add water, you don’t need to have anything else on hand. Since you’re not using eggs, you can eat the batter raw, it makes a great frosting if you have any left over. 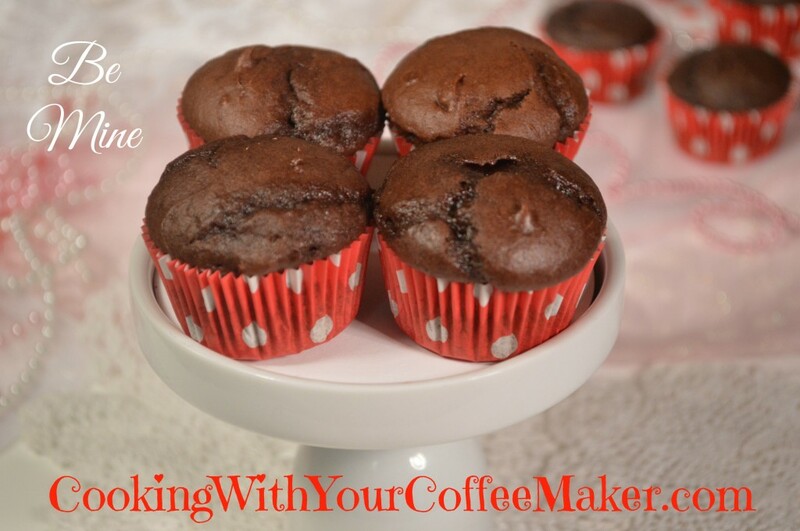 You can make 4 mini cupcakes at a time with your coffee maker. But you’ll need to build a mini oven. 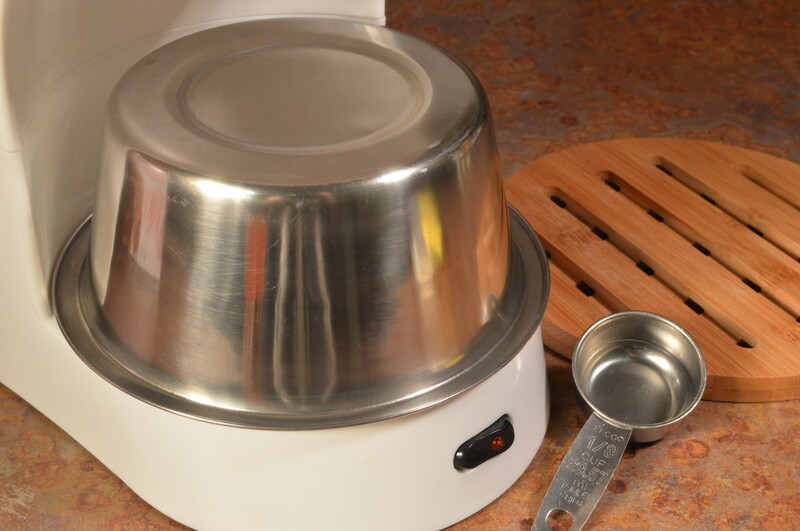 Mini Oven 1 metal bowl, (three cup size will works nicely). Cupcake Holders 4 metal cupcake holders. A few things I’ve tried. 1/8 cup measuring cups, sold individually as coffee measuring cups. Cut the handles off leaving about 1 in. I used tin snips to cut mine. Sleeves made from a soda can. Cut 3/4 in. strips from a soda can and use 2 paper clips to hold them together. I used my scissors to cut them, be careful they will be sharp. Pre-warm your oven place your metal bow upside down on top of the burner and let it warm for about 5 minutes. 1 cup cake mix (makes about 12 cupcakes / 3 batches). 1/2 c water (this is only a approximate, some batters may take less). Make the batter just slightly looser than brownie batter, but not so loose that it will pour. 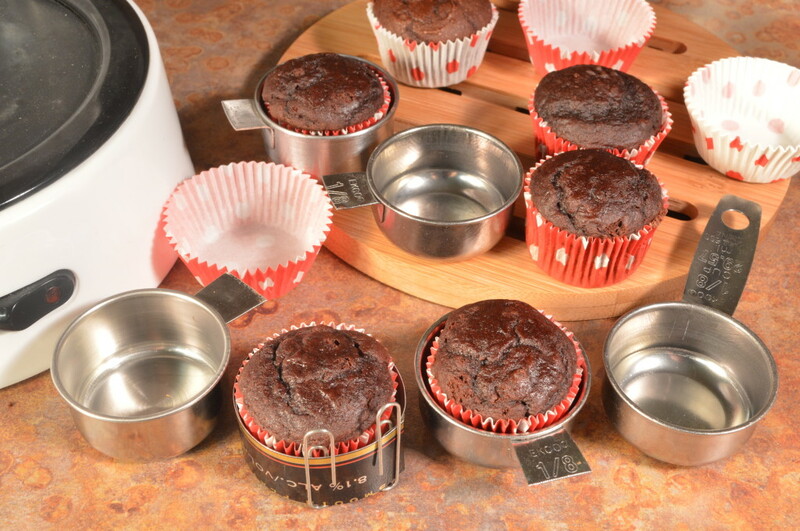 Put papers into your metal cups and fill just over 1/2 way with batter. Put your 4 cups onto the burner. Put your heated bowl back over them. Frost or leave un-frosted, but remember if you make your cupcakes with out eggs you can use some of the batter to frost them. And who doesn’t love to eat the batter and lick the spoon. 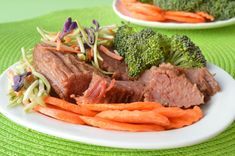 This entry was posted in Breakfast, cooking with your coffee maker, Dessert, Holidays, Snacks, Uncategorized and tagged chocolate, cupcakes, Holidays on February 14, 2014 by cookingwithyourcoffeemaker. Looks amazing, thanks for the share, will make sure to give it a try some time soon! Thanks for stopping by. Now you know what to do with your old coffee maker, so dig it out and make a treat to go with your coffee. And if your really hungry, go ahead and make some lunch.